Last season baseball got off to a rough start, losing their first eight games. “Oh my God, what happened here? We were supposed to be pretty good,” said head coach Bill Brown, reflecting on the start of the previous season. After an initial shock to the system, the Patriots immediately faced adversity. After the team’s initial plunge, Mason rallied over its final 46 games of the season, going 27-19 and earning the No. 2 seed in the Atlantic 10 tournament. In the double-elimination tournament, Mason defeated George Washington twice and Fordham once. Mason dropped one game to the top seed, Saint Louis, before reaching the title game—also against Saint Louis. Mason failed to score a single run against the Billikens in the finals, losing 5-0. Brown attributes the great turnaround to his players, saying they were the ones to take responsibility of fixing the situation. 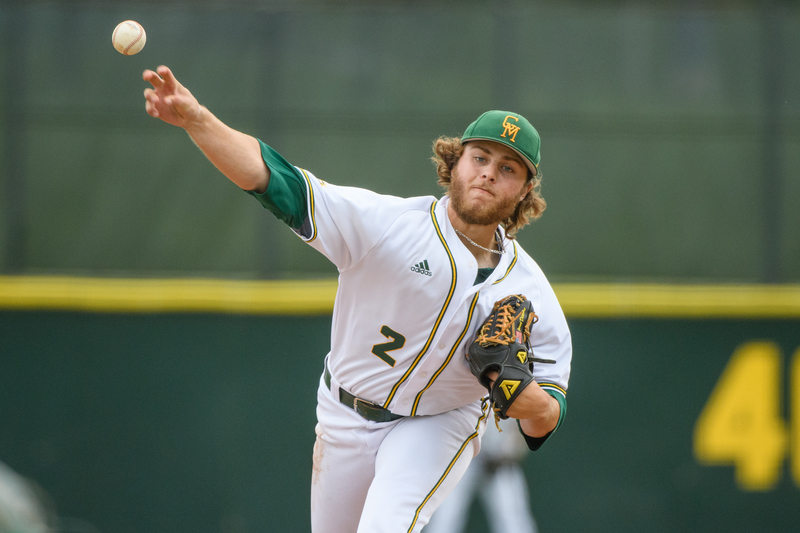 The most significant issue facing Mason heading into the 2019 season is finding a way to replace the team’s top two pitchers from the previous year, both of whom are now a part of Major League organizations. The Patriots lost pitcher Zach Mort, whose ERA of 2.48 last season was nearly a full run lower than the next best pitcher on the team. The junior tied for the team lead with six wins and led the team with 108 strikeouts. 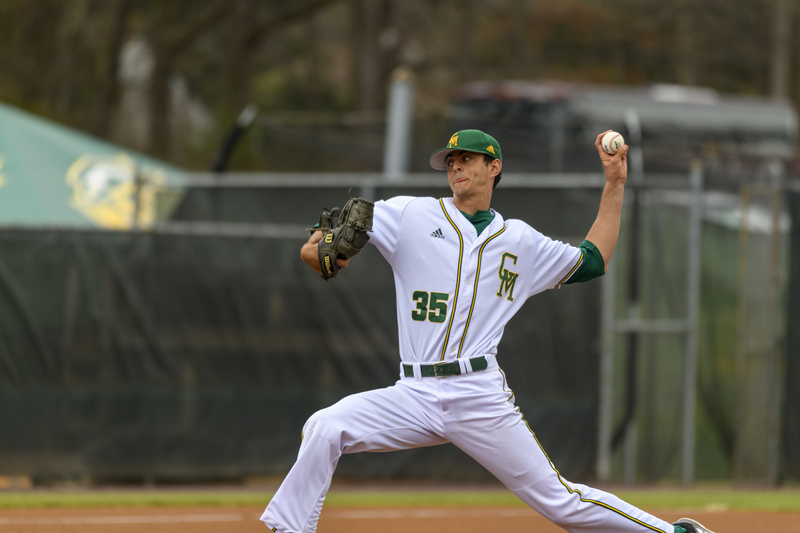 On June 5, 2018, the Chicago Cubs selected Mort in the eighth round of the MLB draft. The other significant loss is Bryce Nightengale, whom the Oakland Athletics selected in the 16th round. Nightengale posted as impressive marks as Mort, recording six wins to go along with 80 strikeouts and a .246 opponent batting average. With starters Brian Marconi and Jared Dicesare returning and stepping up to fill the assignments left by Mort and Nightengale, a gap opened up in the third starter’s slot. 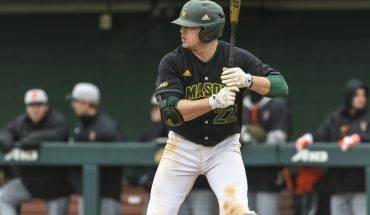 With Mort and Nightengale moving up in the ranks of professional baseball, a stalwart of Mason’s baseball team over the last two seasons looks to step in and lead the team. When junior catcher Logan Driscoll steps into the batter’s box for the first time next weekend, he will make his 100th career start for Mason. After an impressive sophomore campaign, there are lofty expectations already in place. Baseball America, a sports magazine scouting all levels of baseball, named Driscoll their Atlantic 10 Preseason Player of the Year. They also named him the best 2019 MLB Draft prospect in the conference. For his efforts during his freshman season, Driscoll earned Atlantic 10 All-Rookie honors. After his sophomore season, he was named to the All-Conference First Team. Driscoll’s skill-set in the batter’s box is unmatched even by some professionals. His .886 OPS demonstrates his ability to crush the baseball, while his sub-ten percent strikeout rate indicates exceptional plate discipline and control of the bat. When describing what makes Driscoll so valuable to his team, Brown didn’t need to cite any statistics. Overall, Baseball America projects Mason will place fifth out of the 13 A-10 schools in 2019. To outperform this projection, Driscoll will need help. That help will come in the form of some fresh faces stepping onto the diamond. 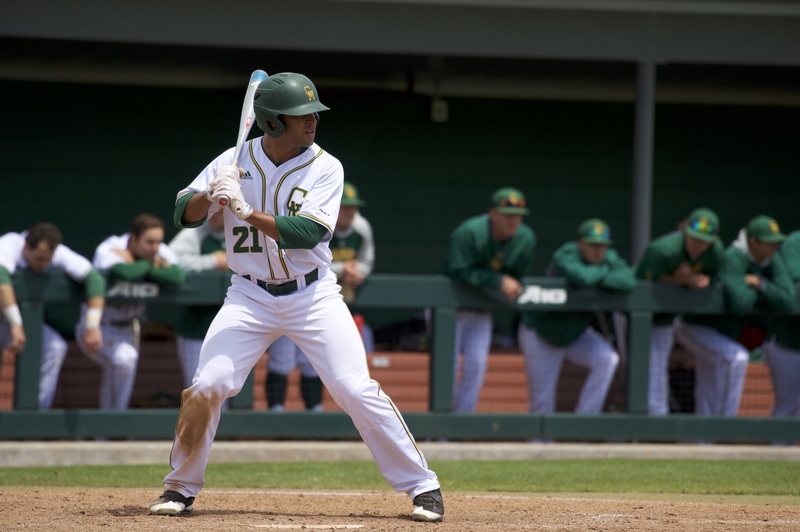 Nearly half of Mason’s 2019 roster lacks experience on the field in a green and gold uniform, as there are nine freshmen on the team. Despite some of these general concerns, he is hugely impressed with this year’s class of players. “They are so mature, and it looks like a majority of the group, if not all, are ready to play from day one,” Brown said. In addition, numerous players have been with the program for many years, but have not seen the field much—if at all. Those players will be asked to step up, along with the veterans who are every-day players. That combination, according to Brown, creates a winning formula. Mason will play its first seven games of the season on the road. That includes the season opener against the University of Iowa on Feb. 15, and matchups against Marshall University and Villanova University. The Patriots return to Fairfax on March 1 at 2 p.m. for their home opener against the Princeton Tigers.